In this roundabout paving was used 1.100 square meters of 40x40x4 Silvestre Duero blasted tiles and 250 lineal meters of 10x20 Silvestre Duero two faces blasted kerbstones. 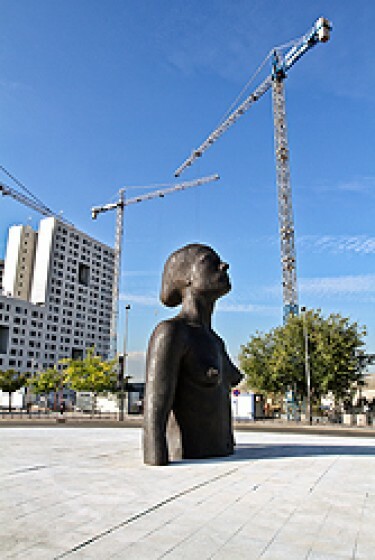 Later, in october 2010, it has been unveiled a sculpture of the renowned spanish artist Antonio López. This sculpture is a tribute to women.